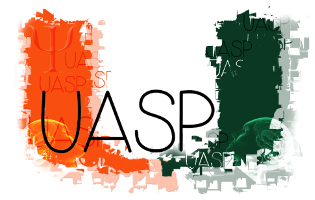 The undergraduate psychology program is one of the largest in the College of Arts and Sciences and at the University of Miami. The Department of Psychology offers a B.A. and a B.S. degree with a major in psychology and is responsible for administering the B.S. degree with a major in neuroscience, which is an interdisciplinary major between the Department of Psychology, Department of Biology, and the Miller School of Medicine. Both of these programs are highly- competitive but the neuroscience program specifically requires some of the highest admission standards of any undergraduate major (1360 SAT or 30 ACT). Advising for both the psychology and neuroscience majors is provided through the office of Undergraduate Academic Services for Psychology (UASP), which is run by the Director of Undergraduate Academic Services who is assisted by two full-time professional advisors and a group of highly-trained undergraduate Peer Advising Liaisons (PALs). UASP has been recognized as an “Outstanding Institutional Advising Program” by the National Academic Advising Association, and is known for its leadership in providing meaningful research opportunities for all undergraduate students. Students who are interested in the undergraduate psychology or neuroscience programs should apply through the Office of Admission. They can also contact UASP at (305) 284-3303 or stop by the Flipse Building, Room #508, anytime between 9:00 a.m. and 4:30 p.m., Monday through Friday to speak with the UASP staff about research involvement, study abroad preparation, post- baccalaureate planning, and much more.